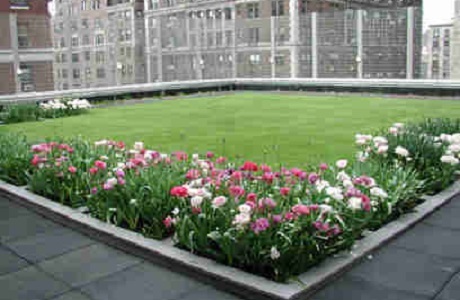 Have you ever thought of converting an unused rooftop space into a beautiful recreational area? PolyTurf makes it easy with lightweight, low maintenance synthetic turf perfect for rooftop landscaping where grass is difficult to grow. Rooftop spaces are especially valuable in densely packed urban areas where green outdoor spaces may be few and far between. 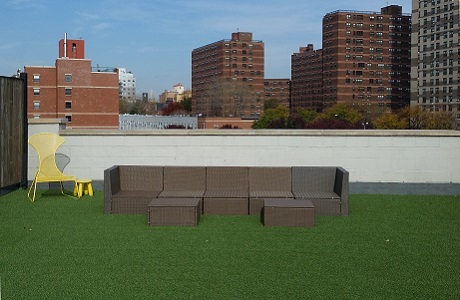 A rooftop landscaped with synthetic turf can offer a beautiful outdoor space for employees, students, residents, or patrons to lounge, recreate or pick up a game of soccer. 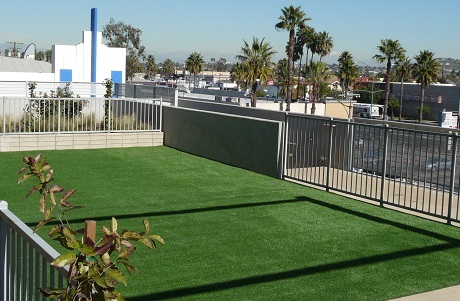 Our eco-friendly artificial grass has been installed for rooftop playgrounds, rooftop recreational areas, urban residential rooftop common spaces, green roofs, and more. A variety of drainage options are available for your rooftop synthetic turf project. 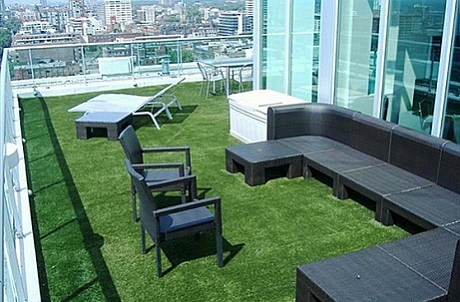 The synthetic turf can be glued down to drain laterally via the rooftops own drainage system. Another option is to utilize the PolyDrain system which provides rapid drainage. Download the PolyDrain brochure for more information.